Destiny Africa have spent a lot of time in football stadiums during this tour! First they performed at Aston Villa in April, popped over the road from Christ Church to Anfield, home of Liverpool Football Club, and then they visited MUFC! 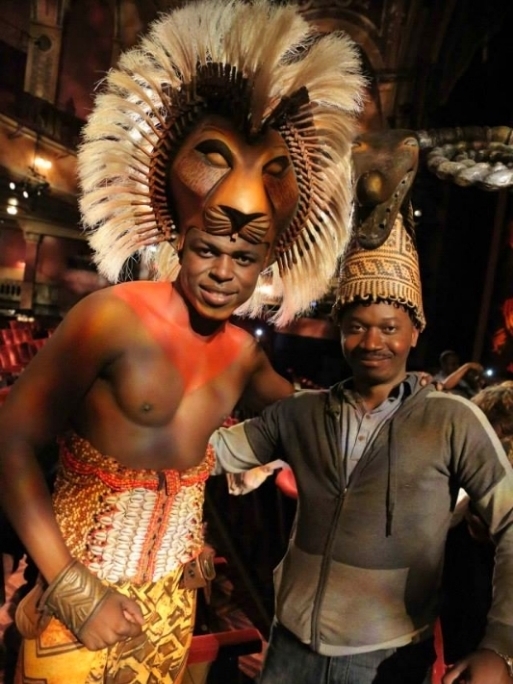 invited to visit the premier showing of the theatre performance 'The Lion King'. Not only were the children given front row seats but they met the cast after the show and gave them a little snippet of their own songs! Once again we would like to give a big thank you to all hosts, chaperones, cooks, drivers and volunteers who have all given your support in the Delph, Liverpool and Manchester area, you have helped make the tour happen.